Expectations of a parent are sometimes so strong that a person may reckon with them long into adulthood. Fear of disappointment and a desire to please can develop unhealthily and affect how that person engages with self and others. And this may demonstrate either through insecurity or through antagonism. 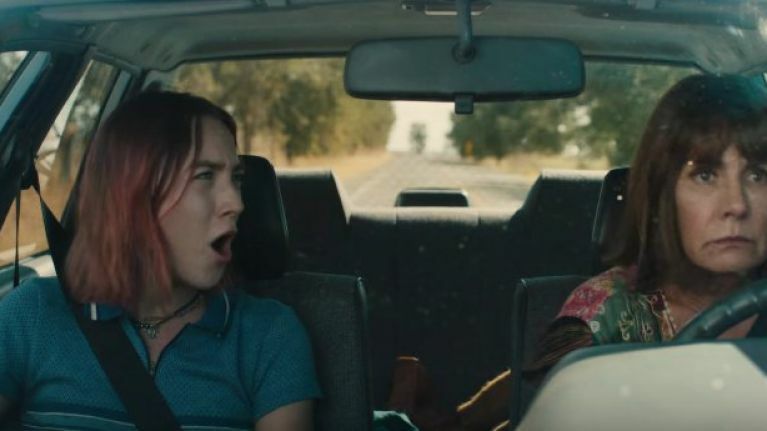 In Lady Bird, Christine (played by Saoirse Ronan) has a strong-willed parent, Marion (played by Laurie Metcalf) who has high expectations of her daughter. Christine fights against much of it, with the secretive support of her dad. And the manner with which Christine learns to cope with her mother’s micromanaging opinions influences her relationships with others. She demonstrates a lack of kindness, she lies, she manipulates, she cheats. What she feels right at the moment becomes the dominant voice. Living by opinion is a tough road to travel. In our workplaces, we have lots of people who are the product of this. Yes, we know that there are lots of pithy sayings that get posted about independence, not giving up the fight and a “screw you” attitude, but we know that it’s just not happening for everyone all the time (nor should it!). There are times that opinion can get us to think better, just as there are times that opinion will crash all around us and overwhelm. But in neither instance should we be living by the opinions of others. Some of our organizations might actually legislate by opinion. We’ve so believed the opinions of some that we have created structure around them. We institutionalize, and we belittle. Grand words, yes, but our constructs sometimes become mired in unity of thought rather than collaboration around idea, purpose and direction. Opinion can manipulate us into a response, even if it’s not one we would normally choose. Our ability to discern is a vital skill that we must handle well. It’s not as lost of an art form as some may believe, but it is harder to find. We should cultivate it. Have robust management conversations around process and purpose. Talk through the needs of people while balancing the function of the organization. These are tough talks, but it will allow us to discern the real needs of our teams and our work better without some of the noise of the loudest or most heard opinions. With people coming to work with various baggage around expectations, it’s important to set a tone regarding opinion. We value opinion, but opinion doesn’t make it so. Our ability to use opinions to create, reformulate, encourage to define process, purpose and function is our job. Don’t lose heart if it’s tough. Look for inroads with a few and start there. You certainly won’t be able to undo an entire organization’s dependence on wrong opinion overnight, but you will be able to run with those few to outline and highlight new data and information. Of course, there are organizations that are systemically bound to fear and the mandated opinions of a few. Those kinds of companies will be hard to change. It might not be worth the extended time you’ll have to spend fighting against it, and there’s no guarantee that it will work anyway. Cut your losses. The sins of the father don’t have to be your life sentence. The way you’ve learned to respond to those early opinion-bearing influences might not be completely healthy. Refine and reform those reactive areas and cultivate a right response in you first. And then take that to your teams! They will appreciate the help, at least in my opinion.